Read what our customers have to say about Andiamo. 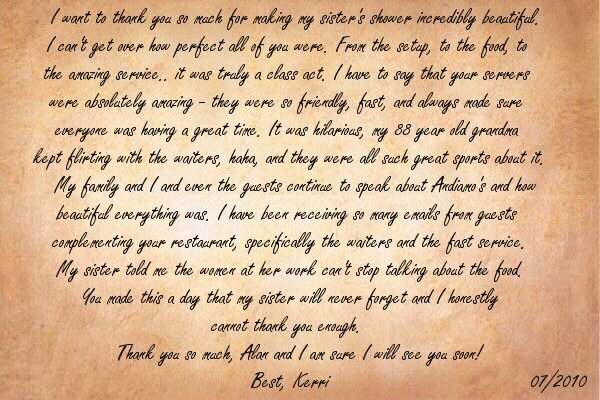 we have received about our restaurant. The Record - Living Section 06/12/2010 Alfresco Dining in North Jersey: Setting a table and two chairs outside doesn't make a restaurant alfresco, but you wouldn't know it by the number of places that tout their outdoor dining spaces. There are hundreds. How many are legitimately good? Dozens perhaps? So we set out to find the best of them — 10 restaurants not only serving memorable food but offering customers a space to dine in the elements, absorbing the late-day sun or taking in a cool summer breeze with their dinner. Andiamo: Don Dickstein is one of the area's most gracious hosts, and his warmth is no less genuine from the cozy seats on the wrap around back porch. Dickstein's wife, Linda, the chef, is excellent with Italian and American classics, such as a grilled rope of sausage, cioppino and prime New York strip steaks, but also enjoys turning them on their heads, such as an antipasto pizza. 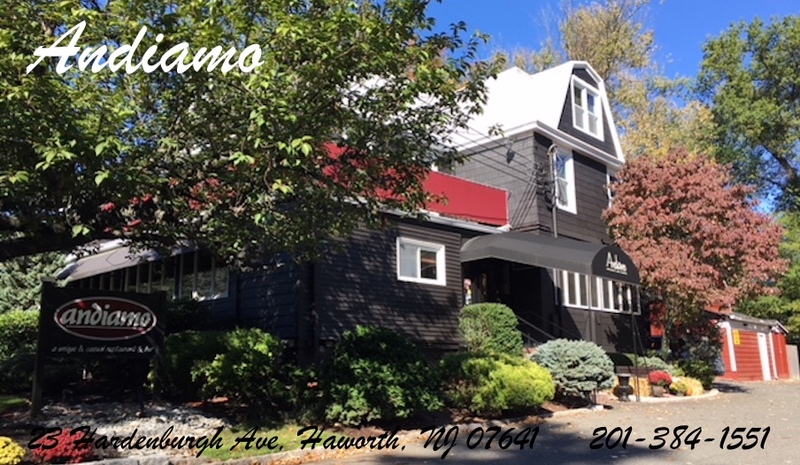 23 Hardenburgh Ave., Haworth; 201-384-1551; andiamorestaurant.net.